Update: This post is now slightly out of date as I now use the ScanSnap S1300. 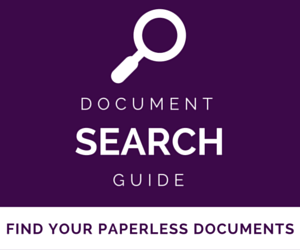 You may want to sign up for my free 7 part e-Course while will more comprehensively take you through the steps to go paperless. 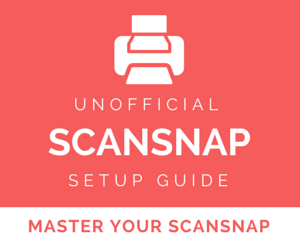 This is Part 1 of the My ScanSnap Setup And Workflow series. 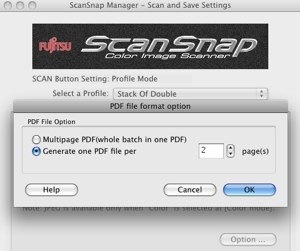 Make sure to check out Part 2 – ScanSnap Post-Scan Processing. I recently moved and have taken the opportunity to do a massive scan-and-purge-a-thon. Almost every piece of paper from my filing cabinet, and every piece of paper that comes into the house gets fed to my trusty Fujitsu ScanSnap S300M and, if appropriate, shredded. After 2060 sheets scanned so far, I’ve settled on a workflow and some settings, so I thought I would post it here. While they’re for my S300M they should apply for any model. I have four profiles set up in ScanSnap Manager. A profile is basically a collection of settings that you want to use, normally associated with the type of paper that you are scanning. To create a new profile, go to ScanSnap Manager | Settings, click in the “Select A Profile” dropdown box, and choose Add Profile. I have all my profiles set to just scan to a file instead of an application. I will touch on that more in a bit. The files get saved to a ToProcess folder with the standard filename. To slightly increase the quality without compromising on speed too much, I have Image Quality set to “Better”, with Auto Color Detection. On the Scanning tab, I have it set to Duplex Scan so that it scans both sides. On the File Option tab, I clicked the Option button and chose “Multipage PDF”. This puts everything in the batch in one PDF file instead of splitting it up. I also have “Continue scanning after current scan is finished” checked. This is because sometimes I will have large stacks that I want put in one file, but the stack is larger than the ScanSnap 300M can take in one run. By checking this, it will wait and keep adding to the same file after each scan (until I hit Finished). 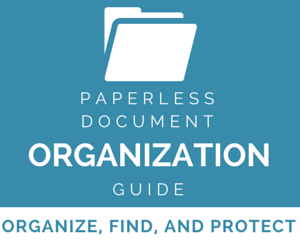 In File Options | Options, I have it set to Generate one PDF file per 2 pages. 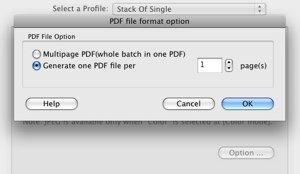 The Stack of Single profile is the same as the Stack of Double, except I have Scanning Side set to Simplex (Single Sided) on the sca nning tab, and “Generate one PDF file per 1 page” set on the File Option | Options screen. The Single All In One profile has Simplex and “Continue Scanning” set on the Scanning tab and Multipage PDF set in File Options | Options. Why bother with a Single All In One profile when the ScanSnap removes blank pages? The ScanSnap is great at removing blank pages, but sometimes documents have markings or heavy creases on the back, and the ScanSnap doesn’t pick those up as blanks. 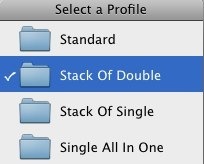 Having a Single All In One profile saves me from deleting pages later. Next time I will cover using OCR software and document management software to actually do something with these newly minted PDFs. Do you have any other profiles or workflows that you use? Let us know in the comments. I have bought the short guide and the book. The answers may be in there but a quick scan of the Unofficial Guide doesn’t show them. My questions. 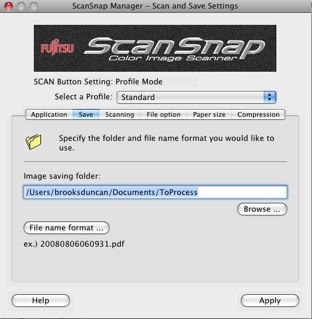 Is SnapScan Receipt smart? (Will it learn receipt layouts if I teach it?). The first one matters. I have about 1500 receipts on PDF or paper to scan. I am using a snapscan s1300i. I have been having trouble after I scan a document, select the file to save it in and then change the name. Once the file is saved my scansnap opens up an email… Although I just delete out of this, it is very time consuming when I am scanning thousands of forms. can you please advise me where to change this setting if you are able? Thank you in advance! 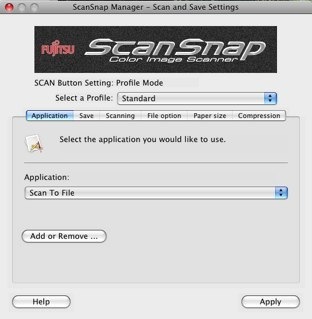 Hm, the only thing I can think of is maybe on the Application tab in ScanSnap Manager you have Scan To Email selected? 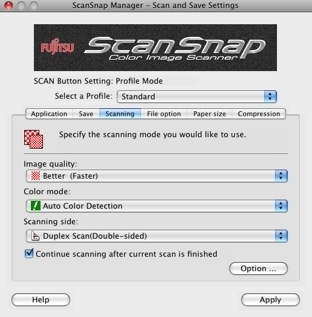 scansnaps Image saving folder too? Some people like that behavior and some don’t. As for why, that’s just how they designed it. Found this and I see it's old, but I'm trying to do the stack of singles routine, but with each single having a different name. This is mostly for bills, so I don't have to scan all at once. I'm not seeing how to name them to what I want; the only option I see is to serialize them. Otherwise, after I rename the first one, the program closes. Need to check before posting. That should say …so I don't have to scan one at a time. It is, but are you on Mac or Windows? 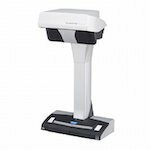 I have a Scansnap s1500 and used it to scan a document which contains some handwritten notes on it. After the document was scanned, the handwritten notes were replaced by weird fonts and characters. I think it tried to convert the handwritten notes but was not very successful. Has anybody else experienced this issue and how do you resolve it. I checked the setting and scan with OCR is unchecked. Any ideas? Thank you. Wow I have never heard of that. On the Applications tab of your ScanSnap Profile, what does it have there? If your profile saves it as a document not as a picture or JPEG then it will scan it as such. Choose a different profile for these and let Evernote scan your handwritten notes (the ScanSnap doesnt do handwritten nearly as well as print). No worries, just let us know if you have any questions! any clue as to where should I have to look into? I got a quick question could be a very dumb one..
How do you rename your scanned files? Do you keep the default name or do you have a special naming scheme? 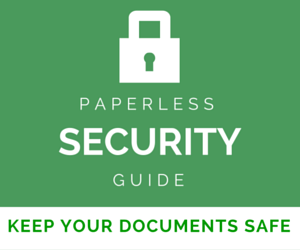 also do you put all your scanned documents into one folder or do you have say one for receipts one for important documents? Do you mind sharing your methods? @jeroen No problem at all, it's way too painful to sit there OCR'ing manually. Thanks for your useful tips! The droplet works really nice as well. This is a real time-saver.